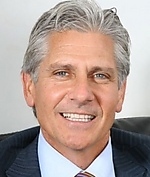 Info Bruce A. Blakeman was appointed to the Board of Commissioners of The Port Authority of New York and New Jersey in June 2001 by Governor George E. Pataki. Mr. Blakeman is a partner in the law firm of Robert M. Blakeman & Associates. He is also President of Madison Strategies, Ltd., a strategic consulting firm. He also serves on the Board of Directors of The Nassau Lawyers Association of Long Island. He was elected to the Nassau County Legislature and served as its Presiding Officer and Majority Leader from 1996 to 1999. Prior to that experience, Mr. Blakeman served as Councilman on the Hempstead Town Board. In 1998, he was the Republican candidate for State Comptroller. Mr. Blakeman has been practicing law since 1984, and is admitted in the State of New York, the State of New Jersey, the U.S. Supreme Court, the U.S. Court of Appeals � 4th Circuit, and the U.S. District Court for the Southern and Eastern Districts. Mr. Blakeman is listed in Who's Who in American Law and has received Martindale Hubbell's highest rating, A-V.
Bruce Blakeman serves on the boards of ACCPAC, a Silicon Valley software company, and North Sea Insurance Company, a property and casualty insurer. Mr. Blakeman is a Lt. Colonel in the New York Guard, State of New York, Division of Military and Naval Affairs. He is also an Honorary Sheriff of the City of New York; Honorary Police Chief of Hempstead, New York; and Honorary Police Commissioner of the Village of Mineola.